City of Glasgow Bank agent, who had only recently moved to Dundee after more than twenty years in London banking establishments. Also acted as a public accountant, stockbroker and insurance agent. Congregationalist (joined Panmure Street Chapel, Dundee in 1862 "By line from London"). Subscriber no.258 – James Yeaman was Provost of Dundee at the time, although they most likely descend from the same family, no closer genetic connection than possibly cousins is known. It is highly likely that the two men knew each other well, as they also lived in close proximity to each other in Ferry Road, Dundee. In fact on the 1865 Valuation Rolls, the two men appear to be living just doors apart. Subscriber no.6 – William Alston, Esq., Jeweller was living next to Robert Yeaman in 1865. Subscriber no.22 – John B. Baxter, Esq., Procurator-Fiscal was living just doors away from Robert in ‘Craig Tay’ in 1865. Subscriber no.171 – Charles Ower, Esq., was also living just doors away from Robert Yeaman in ‘Craigie Terrace’ in 1865. 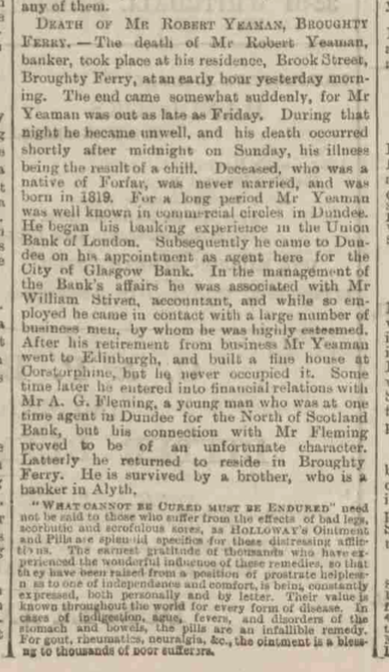 Subscriber no.11 – George Lloyd Alison local director of Life Association of Scotland when Robert Yeaman was local secretary, 1867 and later they were both trustees of the Forfarshire Permanent Property Investment Society. Subscriber no.97 – David Halley was Robert Yeaman’s partner in a stockbroking firm. Banker, accountant, stockbroker, insurance agent, public accountant. Agent for Union Bank of London, City of Glasgow Bank , and then later self employed. Robert Yeaman was the son of Alexander Yeaman and his wife Helen Watt. He was born in Kinnettles, Angus in 1819. Robert’s father was the overseer of the Douglastown Spinning Mill, which was the first powered mill in Scotland. Robert’s father’s first marriage to Ann Neish had produced eight step siblings, although not all were living at the time of Robert’s birth. Robert’s eldest step brother John was already 26 when Robert was born. Robert followed his step brother John, into a banking career. He moved to Finsbury in London as a young man, where he began his working life as a clerk sometime before 1841. Over the next twenty years he worked in the heart of London’s financial district at the Union Bank of London. In 1853 Robert was a councillor representing the Union Bank at the founding of “The Banking Institute”, a new organisation intended to promote sound banking practice. Largely due to the early death of one of the main founding figures behind the movement, the Institute closed just a year later.In 1861 Robert is a fundholder, and continued to work for the Union Bank in London. In 1864 after being appointed as the Dundee Agent for the City of Glasgow Bank, Robert returned to Dundee, having lived in England for more than 22 years. He purchased a home Craigie Lee at Craigie Terrace, Ferry Road, Dundee. The City of Glasgow Bank was located in Reform Street, Dundee. In 1867 Robert moved to 6 Balgillo Terrace, Seafield. In 1869-1870 Robert Yeaman was a trustee of the Forfarshire Permanent Property Investment Company, and in 1871, Robert also became an agent for Imperial Insurance (Fire). Robert was active in the local community, taking the position of treasurer for the Young Men’s Christian Association (YMCA), a post that he held for many years. 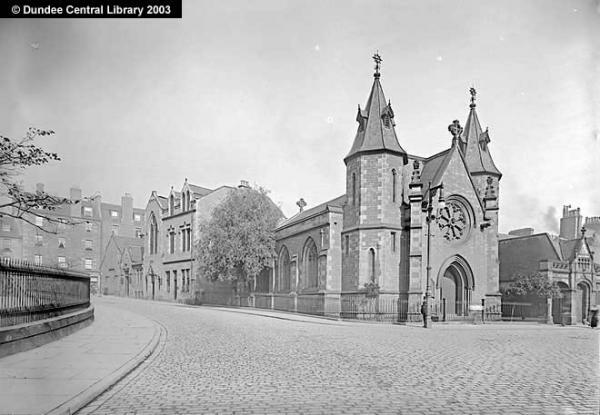 Around this time Robert became a subscriber towards the founding of the Albert Institute (later to be known as the McManus Museum and Art Gallery). In 1874 at the age of 54, Robert left the bank and went into partnership with stockbroker, David Halley, in a firm named Halley & Yeaman. Robert became a public accountant, and they set up their offices at 2 Royal Exchange Place in Dundee. The company continued to act as an agency for Imperial Insurance (Fire), and they were also agents for Reliance Mutual Life Assurance Society. 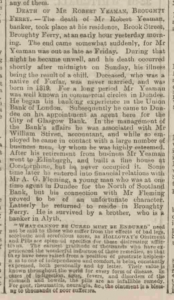 In July of 1876, Robert’s older brother John Yeaman passed away suddenly in Forfar. Robert was one of the main beneficiaries to what was a substantial estate left by his unmarried brother. Shortly after in October 1878, The City of Glasgow Bank (his former employer), suddenly and dramatically collapsed sending shockwaves throughout Scotland and leaving many of its 1200 shareholders destitute. Soon after this event Robert retired, now independently wealthy. By 1881 he had had a house built at 14 The Lee, Corstophine, a suburb of Edinburgh. It is questioned whether he ever resided in it, although he does appear on the 1881 Census, living there with two servants. Within a year or two of the home’s completion, Robert had returned to Dundee, although he still owned the Corstophine property until it was sold in April 1884. In 1891 Robert was lodging at 5 James Place in Broughty Ferry. He was blessed with a large circle of friends around Dundee, where he lived out his final years, before he passed away suddenly on the morning of 23 August 1897 at his residence at Balgillo Cottage, Brook Street in Broughty Ferry. He was 77 years of age, and was laid to rest in Newmonthill Cemetery, Forfar. Robert never married. Old Parish Record. Kinnettles, Forfarshire. Birth. 18 September 1819. Baptism 4 October 1819. 297/10 201. ScotlandsPeople website. The Evening Telegraph, Tuesday, 24 August 1897. British Newspaper Archive website. Dundee Directories, 1864-1867. Local Studies, Central Library, Dundee. Broughty Ferry Residents from the Dundee Directories 1818 to 1896. Friends of Dundee City Archive website. Statutory Registers. Broughty Ferry. Death. 23 August 1897. 310/130. ScotlandsPeople website. 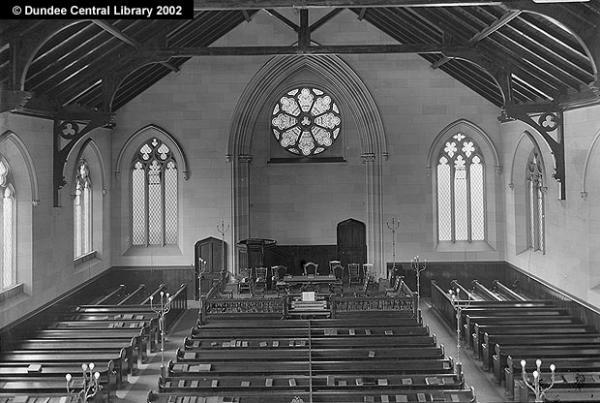 Church Record. Congregational Church, Panmure Street Chapel, Dundee. Roll of Members, 1853-1873. CH14/12/18. Dundee City Archives. Dundee Directories, 1864-1879. Local Studies, Central Library, Dundee. Choral Society Memberships, Surname Y, Pg. 1.Friends of Dundee City Archives website. 1861 Census UK. St. Mary, Islington, Finsbury, London. Sheet 138, P.7. Ancestry.com.au. The Accountants Directory of 1877. List of Accountants in Scotland. Robert Yeaman appears under 'Dundee'. Institute of chartered Accountants in England and Wales website. icaew.com. Green, Edwin. (2012) Debtor to their profession (RLE Banking and Finance) A history of the Institute of Bankers 1879-1979. The banking Almanac 1853, Routeledge e-book. p.158. Dundee Directories, 1867-1874. Local Studies, Central Library, Dundee. 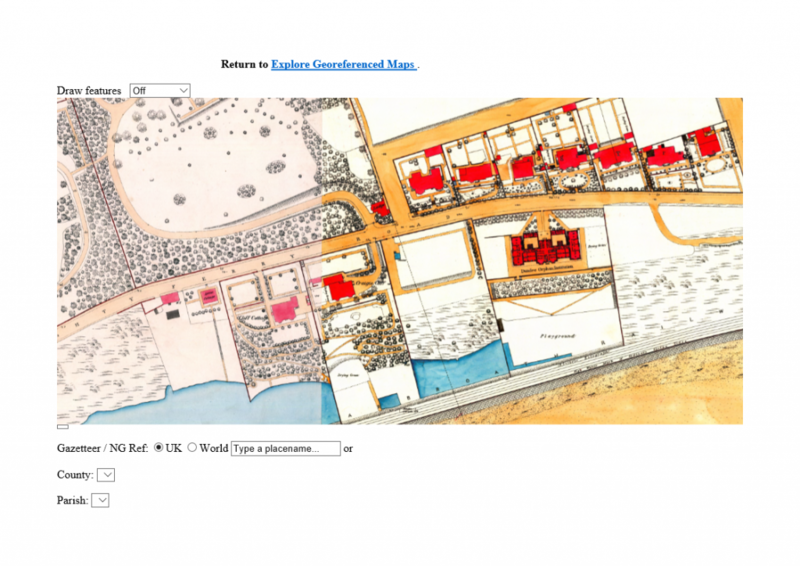 "England and Wales Census, 1841," database with images. FamilySearch website. Robert Yeaman in household of William Marshall, St James Clerkenwell, Middlesex, England. Kinnetttles Heritage Group, Kinnettles-kist, Kinnettles, Scotland 2000. The Dundee Courier, Friday, 17 May 1895. British Newspaper Archive website. Scotland Births and Baptisms 1564-1950. Janet, James and William Yeaman, GS Film No: 0993430-31. Family Search. org. Scottish Post Office Directories, Edinburgh 1846. Archive.org. Website. Dundee Directories, 1867-1868. Local Studies, Central Library, Dundee. Statutory registers. Forfar. Death. 8 July 1876. 288/227. ScotlandsPeople website. Wills and Testaments. Forfar Sheriff Court. 22 September 1876. SC47/40/43 image 510. ScotlandsPeople website. The Evening Telegraph, Wednesday, 2 October 1878. British Newspaper Archive website. 1881 Census Scotland. Edinburgh. 678/4/3. ScotlandsPeople website. 1891 Census Scotland. Broughty Ferry. 282/4 47/14. ScotlandsPeople website. Thanks to Mr Stephen Connelly for his assistance in accessing records in Dundee City Archives. The information above about Robert Yeaman has been collated from a range of digital and hard copy sources. To the best of our knowledge it is correct but if you are relying on any information from our website for the purpose of your own research we would advise you to follow up the sources to your own satisfaction. If you are aware of an inaccuracy in our text please do not hesitate to notify us through our Contact page.